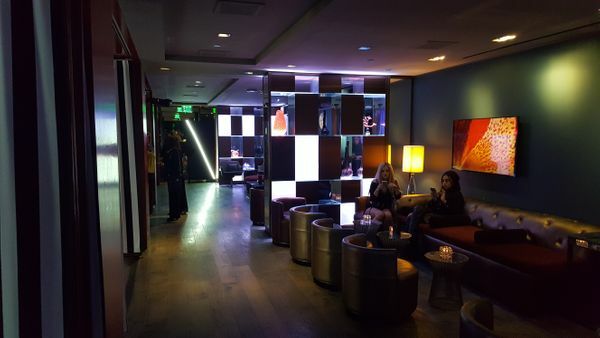 On April 20th, TSV was pleased to be the exclusive audio, video and lighting provider for La Nuit by Sofitel, a "signature party concept that creates a multi-sensory experience for guests [and] will tap into the spirit of the Coachella Valley Music and Arts Festival and combine musical appearances from leading artists, modern design and experimental mixology reflecting Sofitel’s brand pillars." 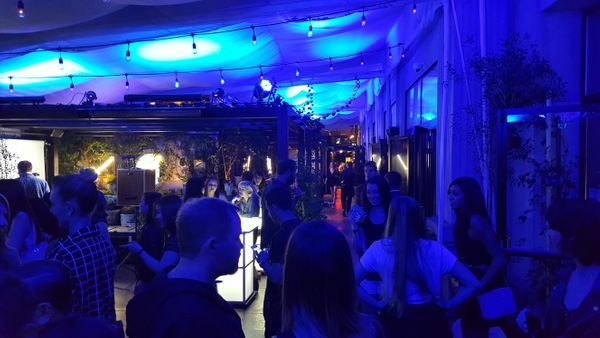 We wanted to give you a behind-the-scenes look at this exclusive party, and share with you how TSV Sound & Vision was able to elevate the concept of the event and bring it into reality! A big thanks goes out to Moondance Events and Entertainment and Accor Hotels for bringing TSV into this amazing event! 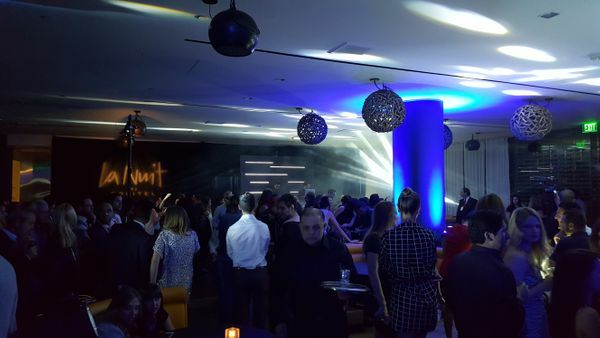 The La Nuit experience took over the eastern half of the first floor of the Sofitel Hotel in Beverly Hills. Upon arrival, guests were invited to travel through five unique spaces; valet/entry, exterior walkway, restaurant, library and lounge. The challenge posed to TSV was to create dynamic and varied atmosphere in each of these spaces, while carrying through the overall themes of modern, clean geometric imagery and deep, immersive colors. In addition to the audio, video and lighting production that TSV provided, we also brought in our good friend John Jacobsen to document the evening. We'll have some video coming soon! 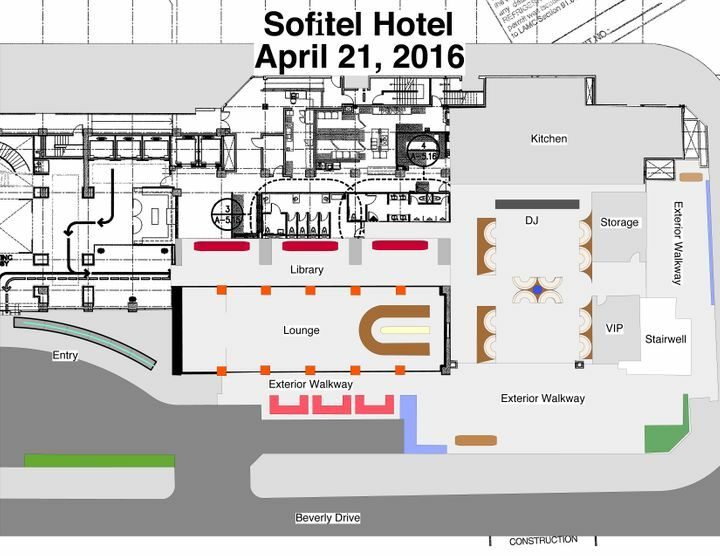 The transformation of Sofitel into LA NUIT was immediately apparent as guests arrived on Beverly Boulevard. 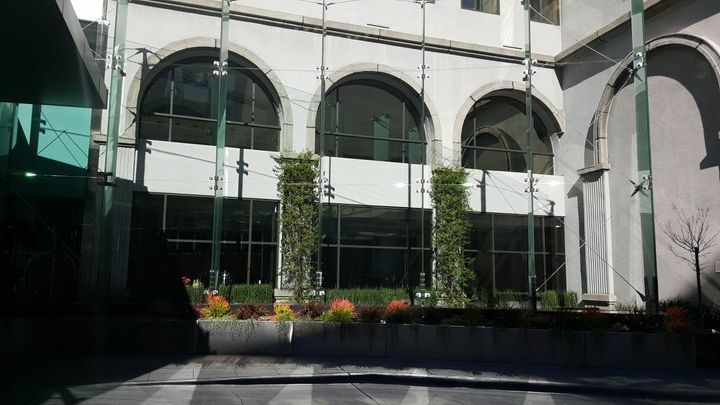 LED lighting and intelligent lighting fixtures transformed the building's facade and provided subtle yet dramatic motion to the entry space. 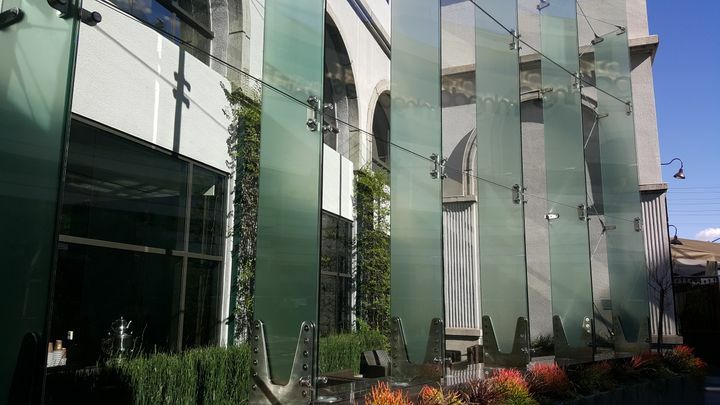 We wanted to play off of the large glass panels in the valet area, so we added a bit of adhesive frost to the vertical pieces, providing a bit of texture and opacity to pick up the LED lighting. 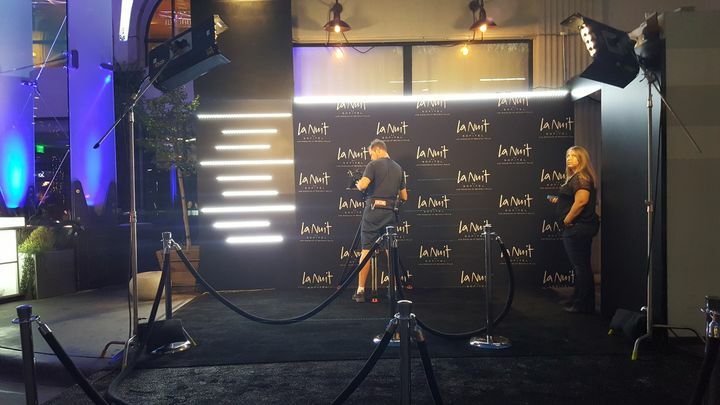 Upon exiting the valet, guests were invited to stop at a branded step-and-repeat for a "black carpet" experience. 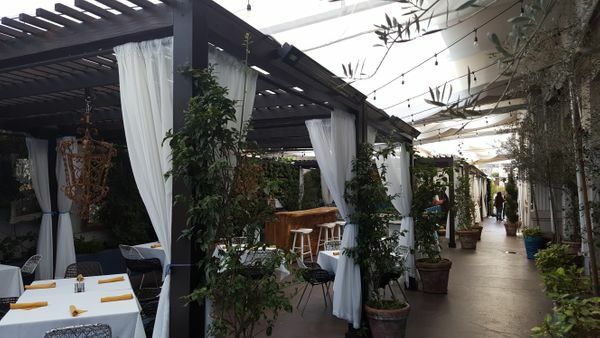 The white scrim/canopy covering the patio was utilized to project a visual glow. Existing festival lights were used, while the wrought iron chandeliers were removed and a BLACK chandelier was installed. 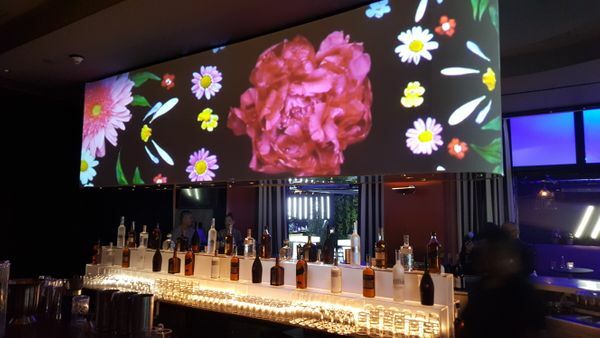 The large wooden bar was this area’s visual centerpiece - completely wrapped in black fabric and LED tape was used to mimic the shapes of the LA NUIT design elements. Behind the bar a black wall/white light provided a visual backdrop. 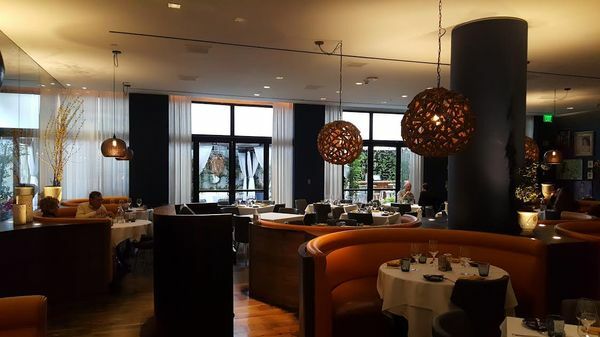 LED uplighting will provided a visual dramatic elements throughout and LED light tape will be added to the wooden lanai adjacent to the large bar to reinforce the linear light tube theme of LA NUIT. TSV also added a sound system to this area to broadcast the live sets of both the DJs and live band that performed in other areas of the event. The glass doors in all areas were opened to allow for an easy flow from the patio into the restaurant space.. Tables and chairs were removed, and replaced by black hi-top communal tables and small black lounge tables. The center round column was washed in blue light. The visual centerpiece was the DJ booth installed in front of the kitchen prep wall. A black wall with white LED strips was installed behind the DJ to separate the kitchen from the dance floor. 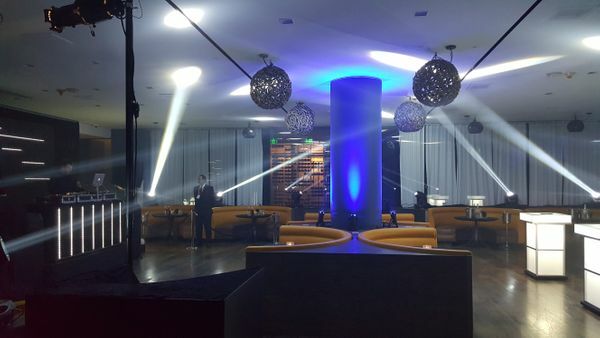 TSV then installed Elation Platinum Beam Extreme 5R fixtures around the outside of the room to create fixed beams of white light that traversed the space. 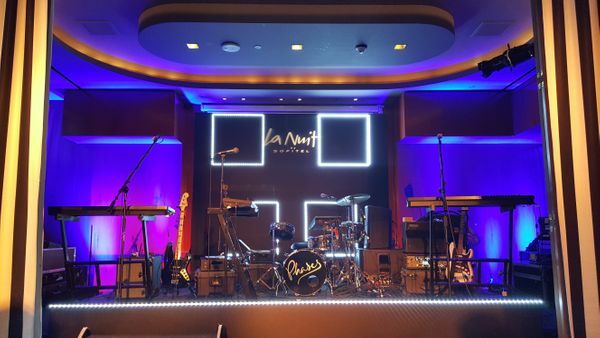 La Nuit welcomed Samantha Ronson as the headlining DJ for the evening, and TSV backed her up with a concert quality sound system, and provided backline services for her turntables and DJ gear. Once the music started, we repurposed the intelligent lights around the room to provide movement and color throughout the space. The striped furniture was removed and replaced with black furniture. All items in the built in cabinets were removed, and heavy frost was placed over empty boxes. Wireless LEDs were then placed in the boxes, transforming them into squares of light. All overhead lights were covered with blue gel, and Source Four Jr. lekos were used to strategically accent artwork throughout the space. 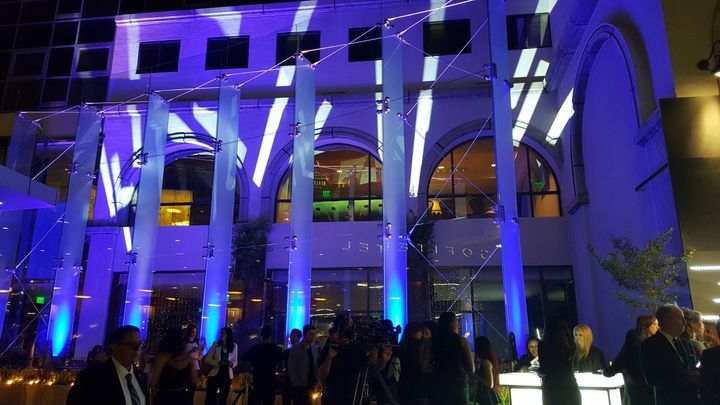 LED tape was used throughout to carry through the event's theme of glowing bars of light. 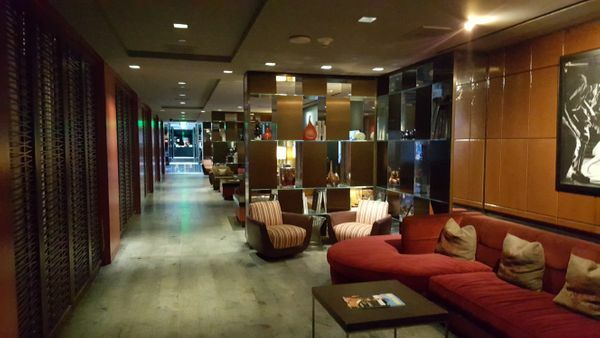 The hotel's bar was transformed into a lounge and concert space. The stage area featured a black wall with geometric white LED strips and a La Nuit gobo as a backdrop to the stage. 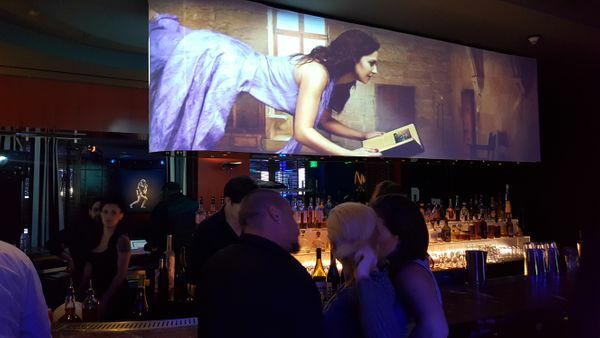 In the center of the room, the twenty foot chandelier above the bar was wrapped in fabric, and TSV created a projection mapping canvas to bring stunning imagery to the space.Minimal uplights and LED strips were placed around the room. 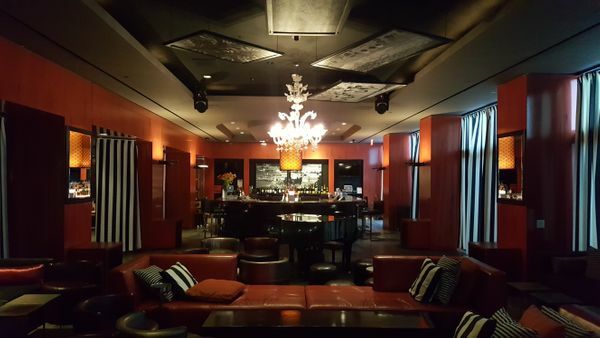 A high quality sound system was installed, as Sofitel welcomed PHASES to the stage to perform.